I am Tobias, the founder of caminostone.com. 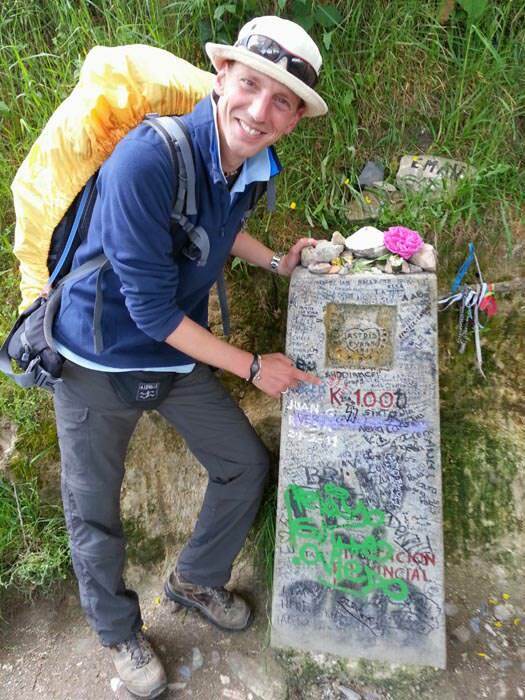 In 2013 I walked the way of St.James to Santiago de Compostela. 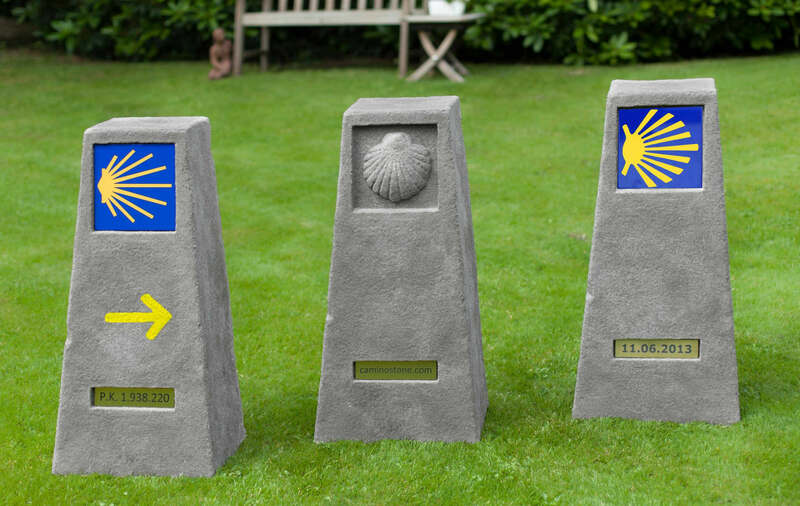 The memories are priceless, and eventually the idea came up, to see a real camino milestone in my garden and to be reminded every day of my experiences walking the way of St. James. „ A real stone? From the way of St.James? In your garden? At home? At work? Are you crazy? That was the first reaction of a friend when I told him about my plan. Hmmm… I guess he was right. When I asked my fellow pilgrims of their opinion their answers were like: ” Great ! Can I have one? ” or ” I’ll take two, one for the garden, one for my office! ” or ” When will I get it ?! ” and ” Will there be my name on it? “. The response was tremendous. Now we succeeded in developing a stone, which can not only be sent, but can also be individually customized. Will your Milestone feature a classical Camino Shell on a tile or a carved out James Shell? Will the yellow arrow on the stone point to the right, left or straight ahead ? Will the inscription show a mileage number, if possible, the mileage from your residence to Santiago de Compostela ? Or your name ? Or maybe the date on which you embarked or will embark ? Or maybe even the date when you arrived in Santiago? Almost anything is possible. The stone is made out of a fiberglass plastic (FGR) with a natural stone surface. That’s why it looks like stone, feels like stone, but isn’t one. That’s the reason why we can ship the 6-8 kg without problems. Each stone is handcrafted, so each stone is unique. … and it is time to return the favor. 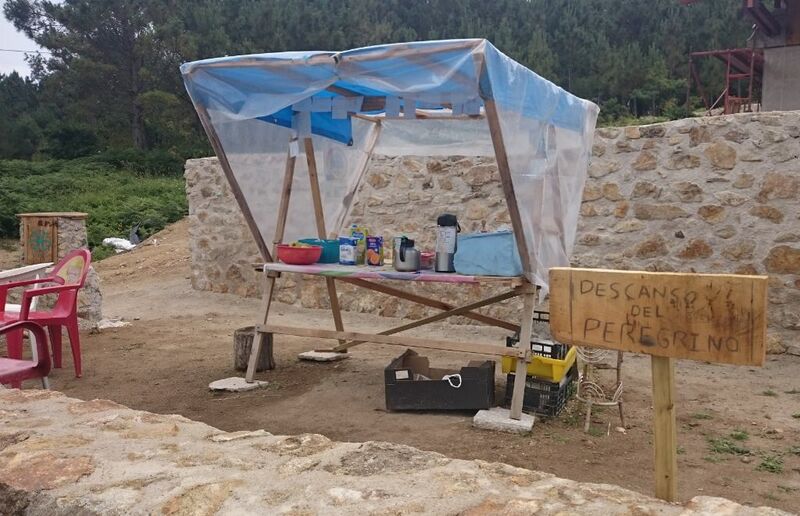 10€ will be donated from each stone sold, which then goes to the local volunteer organizations and first responders on site, who selflessly maintain and preserve „our“ Camino de Santiago every year. That way our memories can be put to a good use.